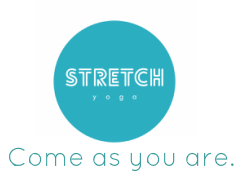 Love Yo'Self - Stretch Yoga's 1st Birthday Open Day! LOVE'YO MIND - INTRODUCTION TO MEDITATION - FULLY BOOKED! Our amazing Brodie will be guiding your mind into a more peaceful place with her intro to meditation Workshop. Do you suffer from stress, anxiety, insomnia, depression or just a whole bunch of monkey mind chatter? Whether you've never sat still for longer than 2 minutes, or you're a regular meditator looking for some new tips and tricks then this workshop is for you! We'll start with some nice releasing of tension with a little bit of movement, then try our hand at finding inner peace. Most importantly, we'll show you why meditation isn't something scary and in fact, is something that you can really look forward to in your routine!